The very unusual mixed rail track at Baker Street is no more. It lasted probably just one day! 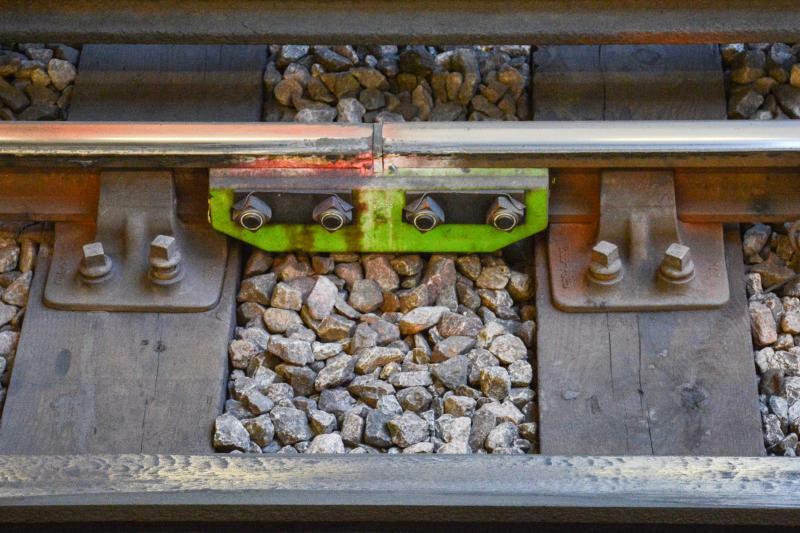 What we now see is the more traditional kind of bullhead/flat bottom rail interface rather than each type on the same section of track. These pictures were taken this evening (24th January) when the platform was generally a bit more quiet and shows how the station’s tracks currently look. The southern end of the tracks with new flat bottom rail either side. Yesterday it had flat bottom rail at left and a bullhead on the right! Most of the platform at Baker Street can be seen in this view. The switch from bullhead to flat bottom is a third of the way down. General view of the station tracks with flat bottom rail and the Bakerloo route diagram. The additional flat bottom rail at the bottom of the pit was there yesterday but it hasn’t been moved since. View looking northbound showing the end of the flat bottom rail section and the beginning of the older bullhead rail section. The interface between the new flat bottom section and the older bullhead rail. This is how it should normally be. The arrangement yesterday was indeed unusual. Generally a special type of fish plate is used but since this is going to be welded when the next section of flat bottom is installed, a modified version of the fishplate – a half blank – is used along with a clamp to secure the flat bottom rail. Who knows, it may be this ‘chicane’ (a pair of bullhead check rails) which is causing the somewhat different approach to tracklaying being undertaken this week at Baker Street. 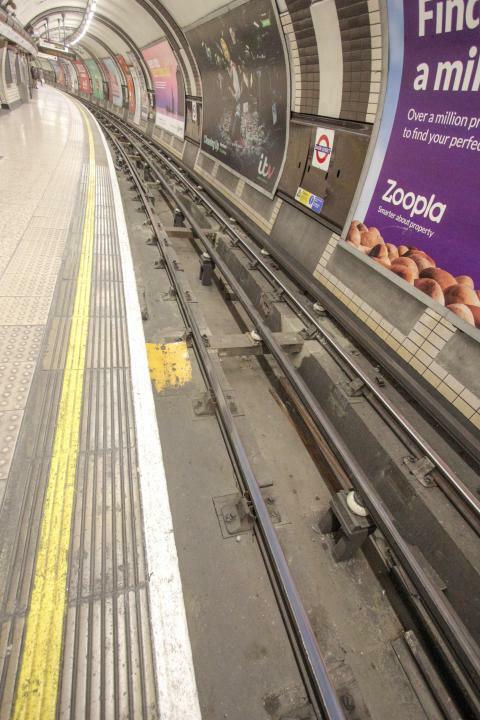 These are a fairly common sight on the tube however with the onset of flat bottom rail these chicanes are removed. Update 26th January: The chicane was removed but a new and much shorter one was put in place! Its slightly odd (I’m no track expert of any sort by the way so cant explain these going ons fully but am fascinated by it all anyway) however what has been done is another interesting piece of work. The new chicane section with temporary bullhead rail. The new chicane is for flat bottom rail, but the engineers have put in place what seems to be special seats, temporary of course, to hold the existing bullhead rail in place! The actual chicane bit is however new rail and it seems at some point the bullhead will be removed, the special seat units taken out and flat bottom installed in the normal way. The special seating for the bullhead rail can be seen. When flat bottom rail is installed it will be a simple case of removing the bullhead and these special seats. 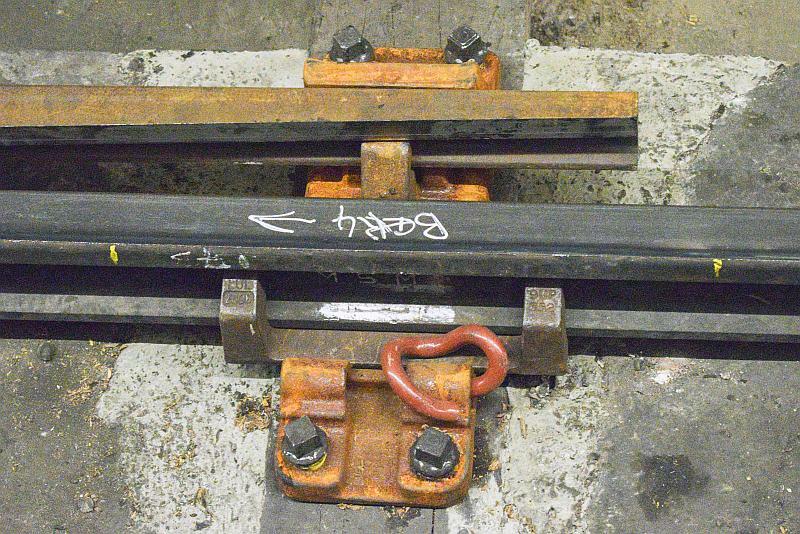 Earlier in this post I mentioned that TfL as a rule these days welds all new track together, however I found this example at Hammersmith where typical bolt through fishplates have been used to install a temporary short length of bullhead, this presumably was to replace a section of broken rail. Notice how they have highlighted it – presumably to remind the track workers this section needs to be totally replaced. 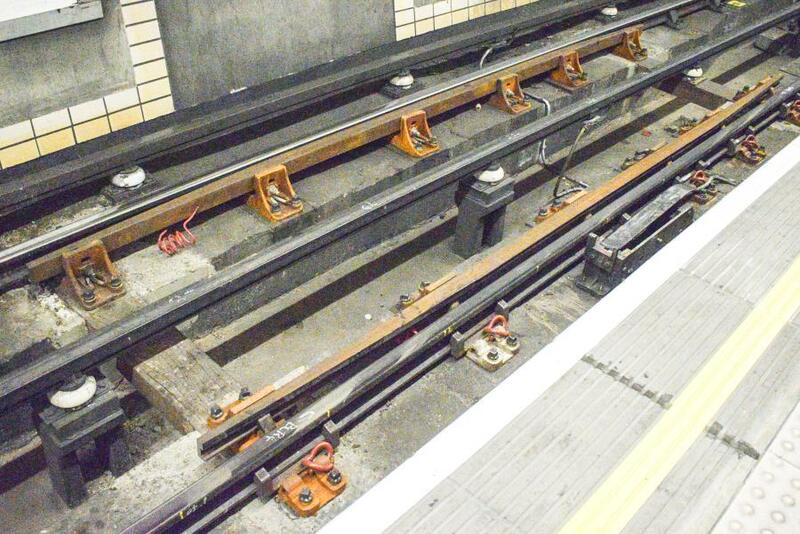 Temporary rail joint on the westbound Piccadilly at Hammersmith. Next Post: Old tube station reveals itself!